Back to school is right around the corner, and although I don’t have kids of my own, it’s still on my mind. 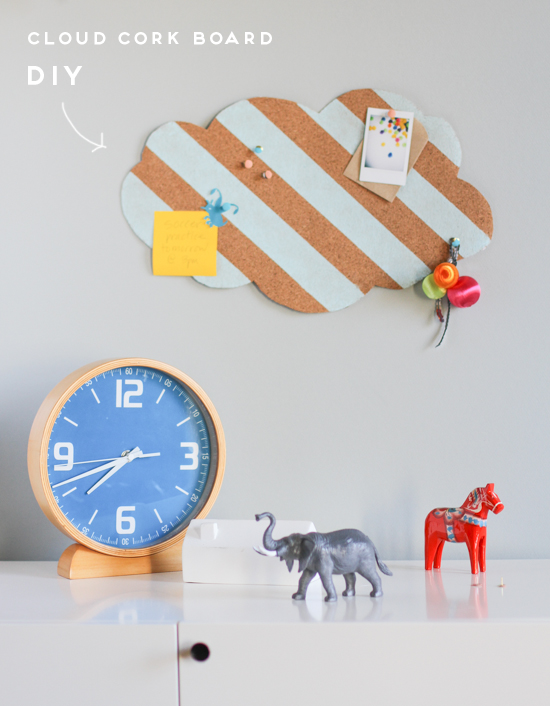 So, I have a DIY for you that is back to school themed: a cute little cloud cork board to keep organized this school year. Bonus! 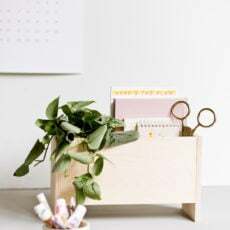 If you don’t have kids, you can totally still make one of these…It’s perfect for a home office or in the entryway as a landing pad area for pinning up love notes, bills, etc. Hey, I managed to get the words love notes and bills in the same sentence – I think I deserve a small cookie or something. As you can probably guess, it’s pretty easy to make, but the step by instructions are right here if you need ’em. 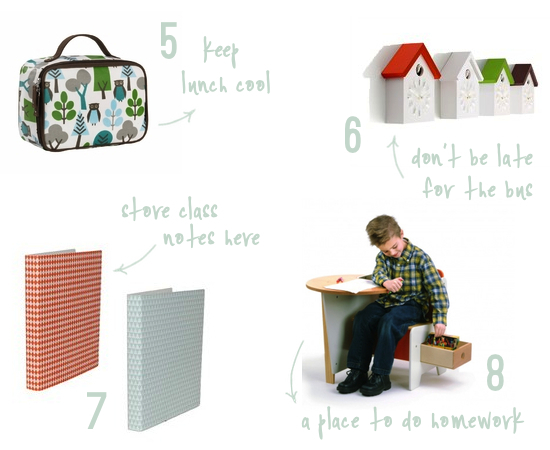 I would love to make a giant one of these for my (maybe one day) studio, to post to-dos and inspiration. We’ll see. So, what do you think? Would you make one of these for yourself or is it better reserved for the kiddos? 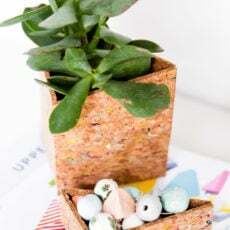 For more DIY projects like this one, click here. Awesome Mia. Glad to hear that. Thanks Emma. I’ve had that forever. Love it. 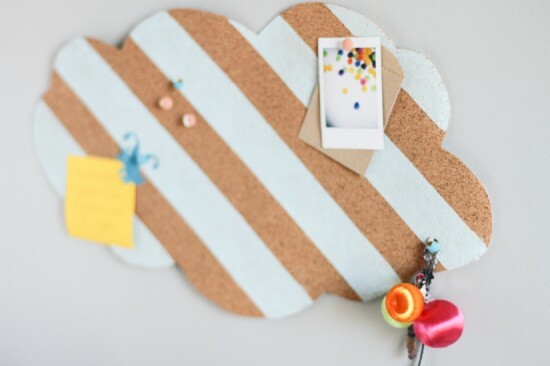 I love the stripes on this cork board, and your styling as always is impeccable! That is adorable!! And I’d want one for myself, for sure! So cute and easy! I love it! Also, you really do deserve a cookie for getting love notes and bills in the same sentence. What I was looking for in a cork board! this is so cute idea!!! this is amazing! been really into cloud shapes recently, this will be great for my studio space. This would be super cute in my dorm!! Thanks for sharing! I love your styling. Where is that awesome clock from? Thanks for the sweet comments everyone! The clock is from West Elm, Zhenya. Love the idea!!! Definitely doing one for myself!! I just don’t get how you hang it on the wall… No pins, no wires?? Hi Rita. 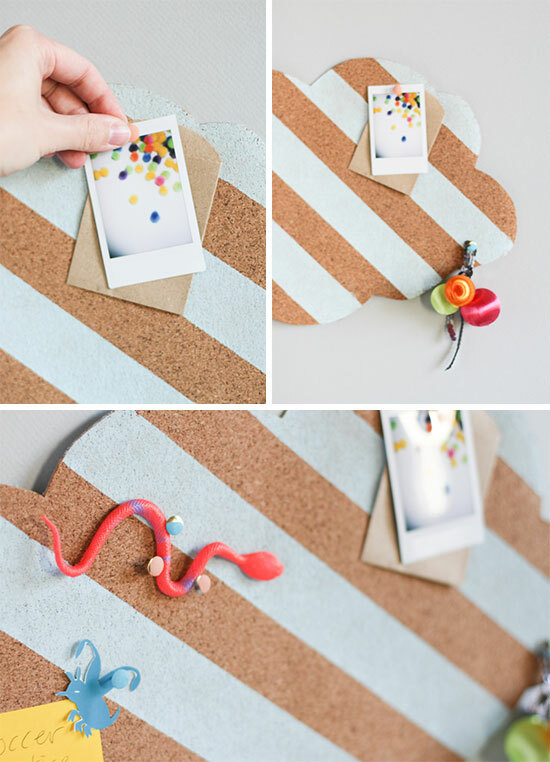 You can use Command Strips or sticky foam to attach the cork board to the wall. Works really well! This is a great idea ! I like it ! Some cloud, some dream, and happy life ! I follow you from France 😉 !